Three veterans filed suit in Illinois' Third Judicial Circuit against Purdue Pharma and more than a dozen other pharmaceutical companies, alleging they marketed dangerous painkilling drugs to vets. 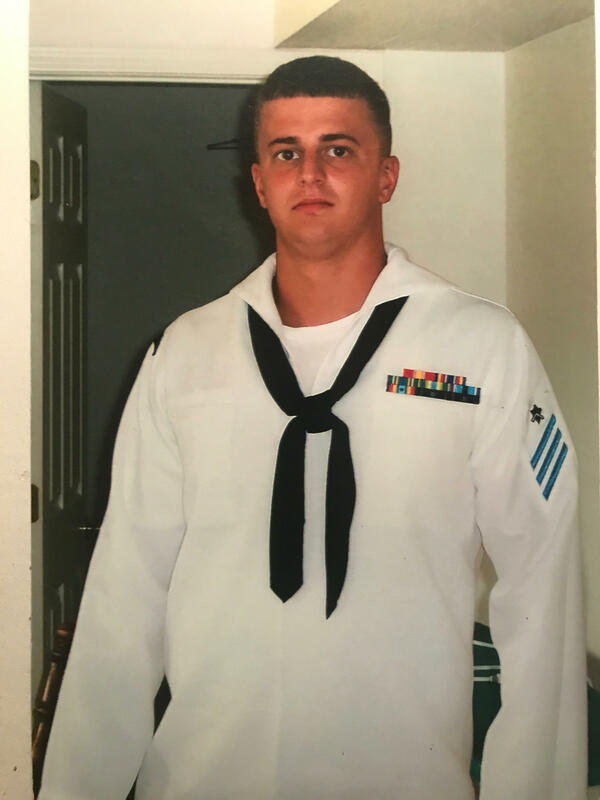 For years after he got out of the Navy, Joel Bishop took morphine twice a day. He used four or five Percocet in between those doses. On Friday, Bishop and two other veterans filed suit in Illinois’ Third Judicial Circuit, which includes Madison and Bond counties, against Purdue Pharma and more than a dozen other pharmaceutical companies, alleging they marketed dangerous painkilling drugs to vets. Josh Evans, the attorney for the veterans, served in the Air Force in Iraq and Afghanistan. Josh Evans, the lawyer who filed the suit, is an Air Force veteran. He served in Iraq and Afghanistan. Evans said he talked to more veterans who used opioids about joining the suit, but many didn’t want to come forward for fear of losing their medication and dealing with their pain. 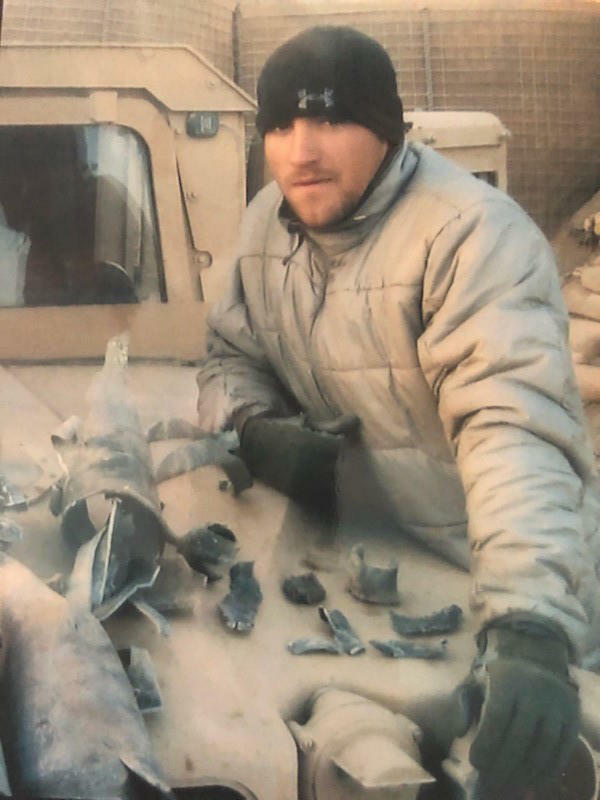 Bishop, 37, of Wood River, served in the U.S. Navy through two deployments to Iraq. He suffered pain in his back and feet. Doctors prescribed oxycodone. The drug companies specifically marketed to veterans, the suit alleges, because they suffer from chronic pain 40% more than non-veterans. Purdue Pharma funded webinars related to veteran pain management where opioids were “pushed on veterans’ prescribers as an effective pain management tool,” the complaint stated. The lawsuit alleged Purdue Pharma and the other drug companies devised a strategy to market to veterans by telling doctors that veterans were “trustworthy” and would not get addicted. The treatment for pseudoaddiction was more opioids, according to the suit. Bishop lost his house, three cars, two kids and destroyed a lot of personal relationships before he quit taking opioids six months ago. “It was like my skin was crawling. It was the worst feeling in the world. I felt sick. I would sweat. I was cold. I was throwing up … It was terrible,” Bishop said. He decided to see a psychologist, who diagnosed him with post-traumatic stress disorder. The opioids masked that diagnosis, Bishop said. He’s still in pain, but he’s learning to cope. When David Patterson Silver Wolf refers to the U.S. opioid epidemic as part of a “disease of despair” and “a tough disease to treat,” he’s speaking from experience both professional and personal. He experienced substance-use disorder firsthand after growing up in a troubled home that quickly led him toward drugs and alcohol. A St. Louis theater troupe is using a play that highlights drug addiction in the mid-1950s to combat the opioid crisis of today. This weekend, the Slaying Dragons company will present “A Hatful of Rain” at The Chapel theater. The play, about a Korean War veteran addicted to morphine, examines secrecy, shame and family dynamics. The production draws on moments from everyday life to show that no family is safe from addiction, director Brad Slavik said in an interview.